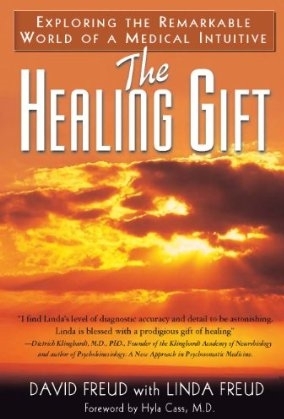 This week, I’d like to share a case history with you as it’s presented in David and Linda Freud’s recent book, The Healing Gift. This story about Rabbi Moshe, an esteemed rabbi and scholar of Kabbalah living in Jerusalem, demonstrates the unique power of Linda’s gift. Rabbi Moshe had been experiencing shortness of breath and rapid heart beat for the last several years. In May 2001 a treadmill electrocardiogram showed that he experienced tachycardia and arrhythmia during physical exertion due to a significant oxygen deficiency caused by decreased circulation in the coronary arteries due to a buildup of arterial plaque. The test showed that he was experiencing chest pain accompanied by shortness of breath. Step 1. The first health reading with Linda. Mercury, nickel, and lead toxicity from fillings and bridges (cofactors for tachycardia). Dangerously high electrical current coming from a tooth (a cofactor for tachycardia). Excess cholesterol and oxidation of cholesterol due to the proliferation of free radicals. Mineral and trace mineral deficiencies. Linda channeled that dental issues were having a profoundly negative effect on the rabbi’s heart. When she got out her tooth chart she went over each tooth searching for heavy metals. She channeled that the remnants of both mercury and nickel had not been properly removed in two of his lower right molars (17 and18), which Rabbi Moshe mentioned were underneath what was part of a five-tooth bridge. Because he was set to return back to Israel the next day, Linda channeled one name from a list of biological dentists in Israel and stressed that upon his return Rabbi Moshe should have the dentist remove two other mercury amalgam fillings as part of the healing process. However, upon further channeling, Linda insisted that the Israeli dentist was incapable of safely removing the remaining mercury and nickel in teeth 17 and 18 under the bridge. That would have to wait until the rabbi returned to Los Angeles a few months later when he could see a specific dentist whom she recommended. This was Dr. Vernon Erwin, D.D.S., a talented biological dentist in the Los Angeles area whom Linda channeled was the right dentist not only for his technical brilliance, but also because he works closely with Linda on tough cases. As we will soon see, this bit of information proved to be critical. Linda recommended a range of different natural cardiovascular remedies, which Rabbi Moshe took for the next six months. These included red yeast extract (to help lower LDL cholesterol), CoQ10, magnesium aspartate, taurine, mild cayenne pepper, and hawthorn berry extract. Other supportive products included an antioxidant, homeopathic fungal remedies, a green drink, probiotics, a liquid trace mineral formula, a lymphatic drainage remedy, a liver detox, a stabilized oxygen product, gem essences (for emotional stress), homeopathics for miasms, and a channeled anti-candida diet. Step 3. Follow-up tests in Israel. Upon his return to Israel, Rabbi Moshe immediately underwent a blood test prior to beginning the protocols Linda channeled. The test confirmed exactly what she had detected. Rabbi Moshe was still exhibiting an elevated level of cholesterol as well as a poor ratio of healthy HDL to harmful LDL cholesterol. The results of another treadmill test were reviewed by the chief cardiologist at Hadassah Hospital in Jerusalem. He declared the rabbi’s health precarious and relayed that the recent stress teat proved he had significant coronary disease. The rabbi was experiencing tachycardia during physical exertion due to a significant oxygen deficiency caused by decreased circulation in the coronary arteries. When the rabbi expressed his interest in exploring alternative methods of treating his heart condition, the cardiologist became quite furious and declared in front of the rabbi’s wife, “I guarantee if you take that approach you will be a dead man within two years.” He urged the rabbi to immediately undergo an angioplasty procedure and also prescribed Lipitor. After carefully weighing the risks versus rewards of this course of treatment, the rabbi decided to follow his gut instincts and continue on the path that he had started with Linda. His own research led him to conclude that the doctor’s approach to managing his case did not address the root causes of his heart condition that Linda had channeled (heavy metal toxicity, oxidized cholesterol, and dental electronconductivity issues). In addition, he reasoned that he could avoid angioplasty if he addressed these underlying issues and that his cholesterol issues could be effectively managed through a combination of dietary modification and supplements. Step 4. Confirmation of Linda’s evaluation by Dr. Vernon Erwin, D.D.S. After Linda arrived, she got out a tooth chart and her pendulum. With her left index finger over tooth 17 on the chart, the pendulum, which she was holding in her right hand, spun to the right, indicating that the tooth was clear of all mercury and nickel. She then put her finger over tooth 18. When she asked if this tooth was now free of mercury, the pendulum spun affirmatively to the right. However, when she asked if tooth 18 was free of all nickel, the pendulum swung to the left, indicating nickel was still in the root area of the tooth. Dr. Erwin then checked to see if he could visually confirm what Linda was getting. After taking a close look, he told her he could not see any remaining nickel. She checked again with the pendulum and told him she was still getting the same information. Dr. Erwin decided to do some more exploratory drilling to see if he could uncover the nickel. After drilling a while, he told Linda he still did not see anything. She checked again and reported that she was still getting the same results: toxic nickel was still there. “Keep drilling toward the anterior side of tooth 18 between 2 and 3 o’clock and you will find it,” she told Dr. Erwin. He did as she suggested and a minute later announced in an excited voice that he had found it and cleaned it out. Linda then confirmed that the nickel had indeed been completely removed from tooth 18. Dr. Erwin was completely astonished by what had just happened. He remarked that the nickel had completely ionized very deep in the root area and looked like black soot. Rechecking the x-rays, he told me that what Linda had channeled had been completely undetected by the x-ray because the nickel had ionized into a sootlike substance. He then declared that if Linda had not told him twice to keep drilling, the entire procedure would not have been a success. The whole time the rabbi was sitting in the dental chair, he was aware that he was witnessing an authentic miracle of healing. He remarked in front of us, “Thank you God for allowing this miracle to happen.” Upon a follow-up visit with Linda the next day, the rabbi reported that the tachycardia had completely ceased. Linda channeled that as a result of this one procedure the vitality of his heart had improved 35 percent!